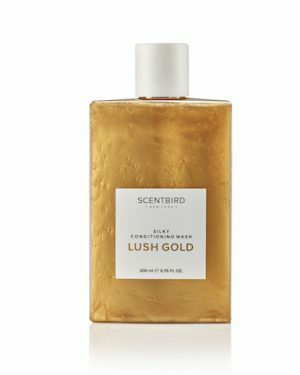 Get in the 2018 holiday spirit with the new Lush Gold Collection by Scentbird. The illuminating Beauty Oil is infused with 24k gold leaves to smooth and irridate your skin. Use on the face or body to nourish and heighten it after the Silky Conditioning Wash. Just a few drops will go a long way. With jojoba oil and sweet almond oil, it’s a treat for the skin to make every day special and glamorous. With no sulfates, parabens & animal-cruelty free, find it at: Scentbird.com?. 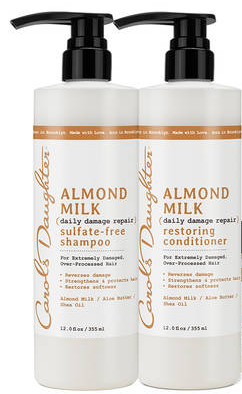 Repair your over-processed damaged locks with Carol’s Daughter New Almond Milk Collection. The collection includes a Sulfate-Free Shampoo, Restoring Conditioner, Ultra Nourishing Hair Mask and Leave-In Conditioner to reverse breakage from the inside out, nourish, fortify and replenish your hair so it bounces back to its best. With Almond Oil, Shea Oil, vitamins and protein, the collection is gentle and your hair will love it! Order it at CarolsDaughter.com and all drug retailers. 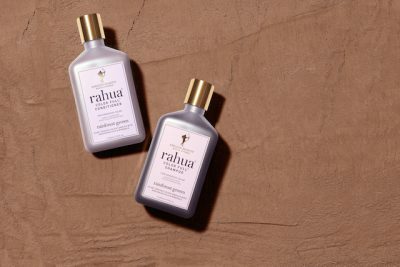 Protect your hair color while reviving its strands with Rahua Color Full Shampoo for Gorgeous Color and Rahua Color Full Conditioner for Gorgeous Color containing a plant-derived color complex with amazonian oils, minerals, and lavender extracts. Don’t fear losing color, even if you swim, and enjoy rejuvenated, radiant and pliable hair after one use. Love it at Rahua.com. Discover the new uncommon shades in the Fall 2018 Flora 1761 Collection and be ready to shine this holiday season. Inspired by Victorian florals and Autumn’s paler skies, the Nail Lacquer in Adelaide Lilac compliments every skin tone with its pearl-like radiance and vintage echoes. 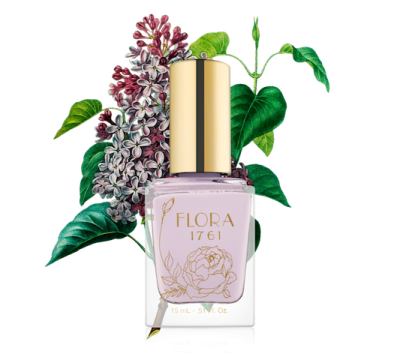 Try the easy-to-apply, quick-to-dry luxurious collection for impeccable nails at Flora1761.com. Heighten your senses after your shower with Be The Architect’s Jua Essentials After-Shower Hydrating Oil Spray with baobab oil. 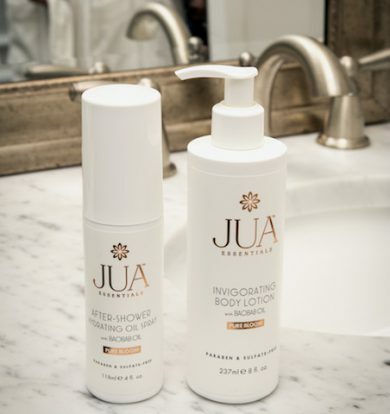 Then feed and smooth it with the Be The Architect’s Jua Essentials Invigorating Body Lotion enriched with baobab oil, known as the tree of life — one of the most effective oils to smooth and hydrate skin. Paraben & sulfate-free, it’s particularly replenishing when your hands and body become dried out in the winter by leaving a light film on the skin for hours. Co-founded by award-winning actor, New York Times bestselling author, and cancer survivor Hill Harper, this affordable luxury collection is available at https://www.amazon.com/bethearchitect.